EDITOR’S NOTE: Updated at 12 p.m. EDT (1600 GMT) after the test flight. 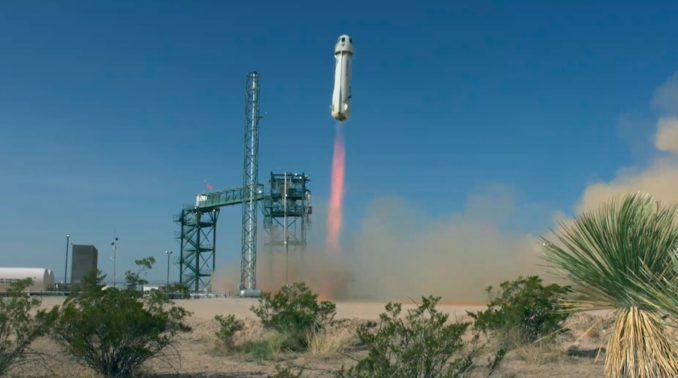 Blue Origin, owned by Amazon billionaire Jeff Bezos, is testing the rocket and a prototype crew capsule to prepare for human passengers who will ride the vehicle on short, suborbital hops above the 62-mile-high (100-kilometer) internationally-recognized boundary of space. After several brief holds, the New Shepard rocket took off at 11:11 a.m. EDT (1511 GMT); 10:11 a.m. CDT) from Blue Origin’s sprawling test site north of Van Horn, Texas, around 100 miles (160 kilometers) east of El Paso. Propelled by a hydrogen-fueled BE-3 engine generating 110,000 pounds of thrust — more than a million horsepower — the New Shepard rocket climbed nearly straight up, reaching a maximum speed of around 2,236 mph, or about one kilometer per second. 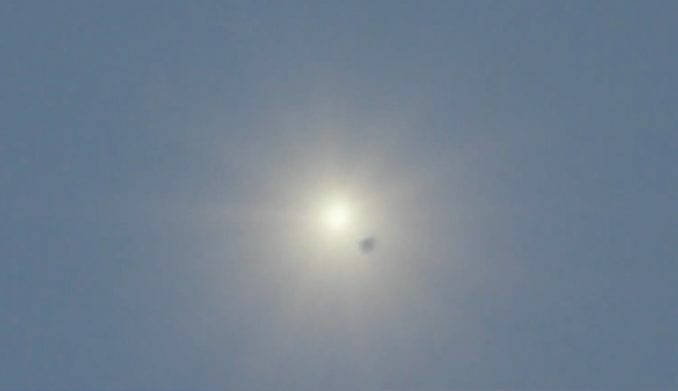 The BE-3 engine burned for around 2 minutes, 20 seconds, before switching off, leaving the New Shepard booster and crew capsule coasting higher. Moments later, the crew capsule released from from the New Shepard booster, then waited around 20 seconds before igniting a solid-fueled rocket motor designed to quickly carry the capsule and its occupants away from a catastrophic, explosive launch failure. The escape rocket ramped up to around 70,000 pounds of thrust for a few seconds, then burned out after pushing the capsule away from the New Shepard rocket. The extra push by the abort rocket pushed the capsule to a maximum altitude of 389,846 feet — nearly 119 kilometers — above the Chihuahuan Desert of West Texas, higher than any Blue Origin test flight to date. With Bezos watching nearby, the rocket and capsule descended back to Earth, with the New Shepard booster deploying drag brakes and reigniting its BE-3 engine to slow down for a vertical landing on a concrete target around 2 miles (3 kilometers) from its launch pad. The capsule unfurled three main parachutes to slow down for landing. “Anything could have happened today, and this was the best possible outcome,” said Ariane Cornell, head of astronaut strategy and sales at Blue Origin, who hosted the company’s live webcast of Wednesday’s flight. Wednesday’s mission was the ninth by a New Shepard rocket, and the third using Blue Origin’s most recent model of the single-stage vehicle, which debuted in December and made its second launch and landing in April. The reusable New Shepard booster is designed to take off from a launch pad, climb to the edge of space, and land back near its launch pad slowed by rocket thrust and aerobrakes. The crew capsule mounted on top of the New Shepard rocket for Wednesday’s flight carried experiments and a dummy nicknamed “Mannequin Skywalker” to simulate the experience passengers will see on future flights. On Wednesday’s flight, Blue Origin said it planned to push the New Shepard rocket to its limits with the high-altitude escape motor test. The demonstration moved the company a step closer to flying people — first its own employees, then paying passengers — on trips to space lasting several minutes, offering the experience of weightlessness and spectacular views. Passengers would have likely encountered accelerations of up to 10 g during an escape motor firing like the one conducted Wednesday, Cornell said. Blue Origin officials said in April the New Shepard could fly with people for the first time by the end of this year, followed by commercial riders. 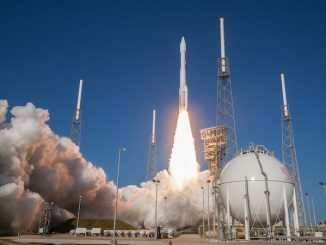 But the company has not set a firm timetable for the start of crewed test flights, or the launch of commercial services directed at the space tourism and suborbital research markets. Headquartered in Kent, Washington, Blue Origin has also not started selling tickets for seats on commercial New Shepard flights, but Reuters reported last week the flight opportunities are expected to sell for between $200,000 and $300,000. Blue Origin responded to the report, saying the company has not set ticket prices, and does not plan to sell rides until some time after New Shepard makes its first test flight with humans on-board. Blue Origin engineers are manufacturing a new crew capsule outfitted with passenger accommodations. 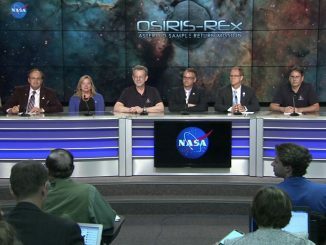 That is the vehicle that will launch with humans, Cornell said. The New Shepard developed by Blue Origin is competing with Virgin Galactic’s SpaceShipTwo rocket plane to become first vehicle to begin commercial suborbital space tourism service. Blue Origin accomplished a low-altitude abort test with a previous version of the New Shepard vehicle in October 2016, proving the capsule’s Aerojet Rocketdyne-built solid-fueled abort motor could get passengers away from an in-flight failure during the phase of the launch when the rocket experiences the most intense aerodynamic pressures. Experiments hitching a ride on the test flight Wednesday included a privately-developed in-cabin WiFi transmitter, and a package of NASA sensors to measure cabin pressure, temperature, carbon dioxide levels, acoustic conditions, and acceleration inside the crew capsule. There were also science experiments from the Johns Hopkins University Applied Physics Laboratory, Purdue University, and Otto von Guericke University and Olympiaspace in Germany. Other items aboard the flight included a NASA-funded vibration damping system to allow for more precise experiments in microgravity, an assortment of scientific, medical and textile materials from the Thai startup mu Space, and an allotment of mementos and other items provided by Blue Origin employees. Blue Origin is developing a much bigger rocket, called New Glenn, as an orbital launcher. 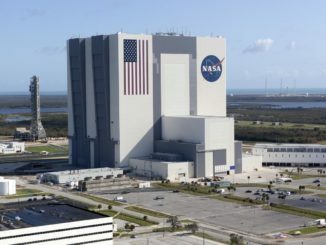 The New Glenn could launch on its maiden flight from Cape Canaveral by the end of 2020.